The shares of Micron Technology, Inc. (NASDAQ:MU) grew 4% after its $1 billion stock buyback announcement. The company would initiate $1 billion worth of discretionary share repurchase of its outstanding common stock. The company is likely to engage in open market purchases, private transactions, block trades, and derivative transactions. The company would use in-hand cash for any of these repurchases. 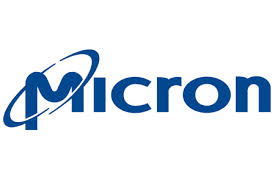 Micron Technology, Inc. (NASDAQ:MU) reported net revenue of $4.23 billion for its fourth quarter 2014 and non-GAAP net income of $916 million attributable to its shareholders. This was welcoming news for the shareholders as the company last repurchased its shares in 2011, the transaction involved repurchase of 19.7 million shares of the company. Earlier, the CEO of Micron Technology, Mark Durcan, said that the company was optimistic about the growth in chip demand. He further added that as much as 65% of the overall business of Micron Technology is in DRAM only.